If you’re new to cord-cutting, you might’ve heard about antenna rotators. Solid Signal is happy to tell you what these are, how they work, and the best application for cord cutters. First, let’s talk antenna rotator basics. These devices are motorized units that attach to your TV antenna mast. As its name implies, the device rotates your TV antenna to point it toward the signal in order to receive the best TV signal. Rotators require a second wire to run from your roof to carry power and remote control signals to the device. You also need a base unit in your house to plug into the wall and act as a receive for your rotator’s remote control. When to Use a Rotator? Cord-cutters who live between two TV markets are the best candidates for antenna rotator usage. Consider this example: Let’s say you live in a place that allows you to receive TV signal from Hartford, CT when your antenna points north, and New York City TV programming when the antenna points south. You enjoy specific programming from both these markets, but you know you cannot point your antenna in opposite directions at the same time. You install an antenna rotator. This allows you to move the antenna toward the coordinates you need to watch your chosen programs. Rotators also are good for people who cannot have more than one TV antenna atop their roof. This allows them to move the antenna’s direction in order to receive their desired stations and programming. Since antenna rotators spend their whole lives outdoors, these devices are susceptible to wear and tear. No matter how durable the company makes them, rain, snow, and sleet eventually take their toll. Heat and intense sunshine also can wear down or warp the plastics, which allows moisture to slip inside. These products also must be greased using a specialty oil to keep the bearings from wearing out. If you want to keep your rotator in working order, follow the manufacturer’s recommendations on how to care for the device. For all the good an antenna rotator can do, these devices are not for everyone. Do you have multiple TVs in your home? If so, then a rotator isn’t a good idea. Consider this scenario: You’re in your easy chair, about to rotate your antenna to pick up your favorite show in a nearby market. Your children, however, are happily enjoying their favorite OTA TV programs in their rooms. Guess who’s out of luck when dad moves the antenna? This is the biggest downside to an antenna rotator. Who Has Just One TV? Very few homes have only one TV these days. If you’re considering cutting the cord, chances are you have a family and you’re looking for the most affordable way to bring TV entertainment into your home. Unless you want a house filled with disappointed children – and an unhappy spouse – it’s best to skip the antenna rotator. In homes with multiple TVs for multiple tastes, we recommend you get two TV antennas with a combiner, or use an omnidirectional TV antenna. Both of these options can help you capture the free, OTA TV signals all around your home. Best of all, everyone will be able to watch the shows they want. If you’re new to cord-cutting, we don’t expect you to understand the ins and outs of dual TV antennas and combiners or omnidirectional antennas. This is why we recommend you give us a call at 877.312.4547. 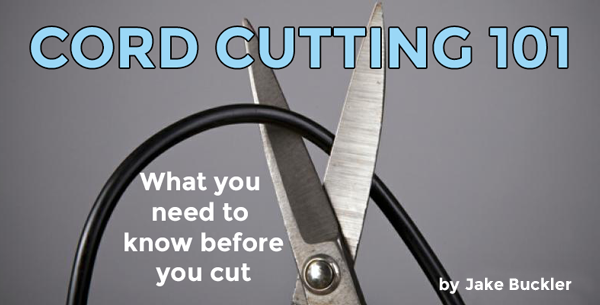 Solid Signal is the premier destination for everything cord-cutters need, including some good advice. Any one of our experts can help you determine your best option for delivering more free HDTV for you and your family.